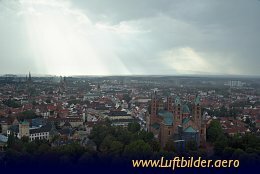 The construction of the Speyer cathedral, a UNESCO world heritage started in 1030 under King Conrad II. IN 1076 started Heinrich IV here his Walk to Canossa in order to reverse his excommunication by Pope Gregory VII. 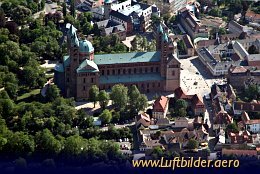 The Imperial Cathedral of Speyer is the most important and oldest roman sacral building in Europe. In 1030 emporer Konrad II started to build this church, where 7 German Emperors and Kings have their last resting-place. The cathedral of Speyer became UNESCO world heritage in 1981.